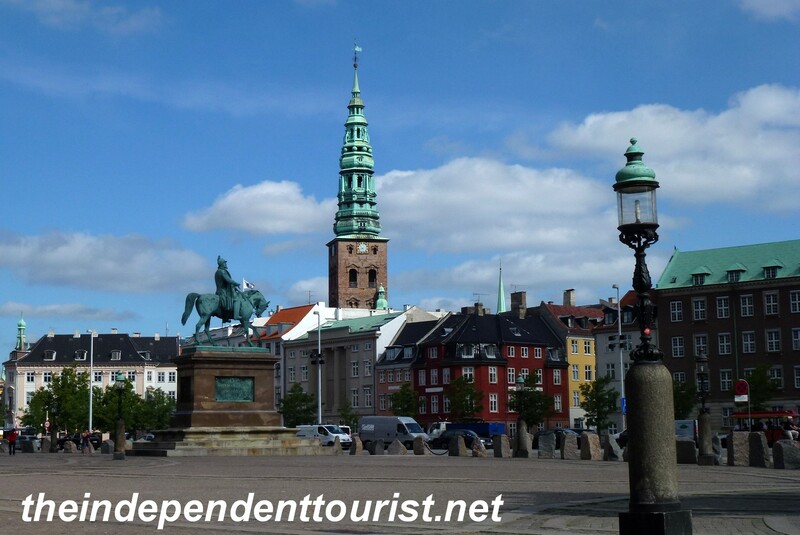 In my final post on Copenhagen, I will share a few more sights we visited. Copenhagen has so much to offer, it seems around every corner there’s another interesting building, monument or museum. It’s worth just wandering along the canals and streets to see what you can discover. 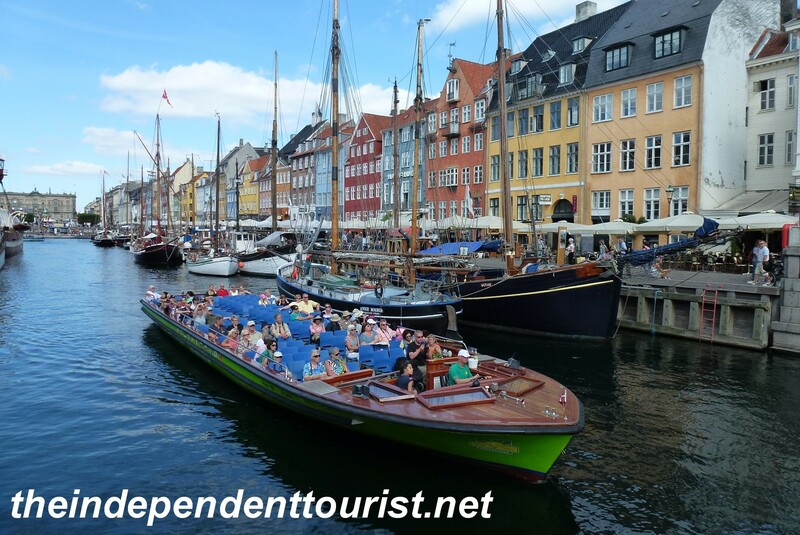 Nyhavn means “new harbor” in Danish and dates from the 17th century. It was a significant port in Copenhagen until the early 1900’s. Like many port areas, it was a bit seedy in its heyday but now has been restored and is a popular area for tourists, with many restaurants and cafes. Hans Christian Andersen, the Danish author and poet lived here for 18 years. The Nyhavn district. Lots of restored 17th and 18th century houses and old ships along the canal. Radhus Square. 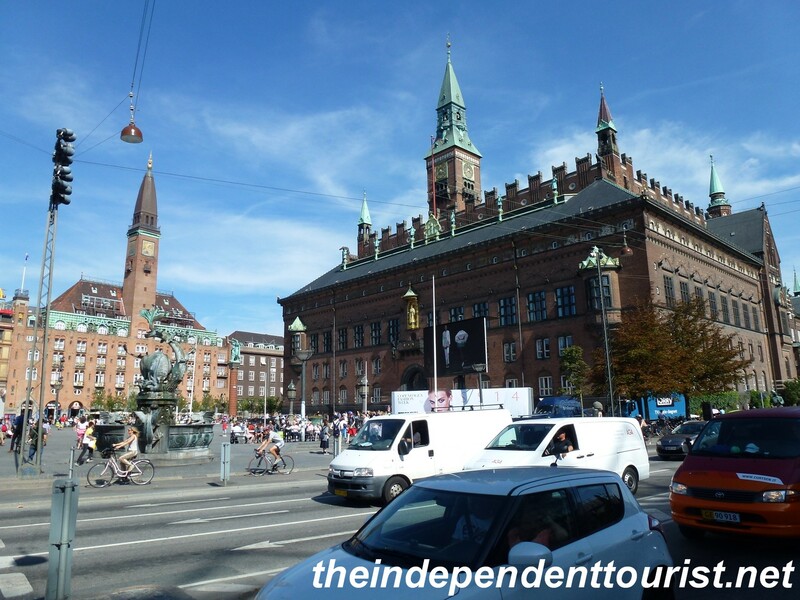 The Radhus is the Copenhagen City Hall. Although it looks older, it was built at the beginning of the 20th century. This square, right next to the world famous Tivoli Gardens, is a very popular people watching and restaurant spot. The Radhus is on the right. Great area for strolling and people watching. Christiansborg Palace. This is the center of the Danish government, used by the Danish parliament, Supreme Court, Prime Minister and the monarchy. The first castle was constructed here in 1167, and some of the ruins from this castle remain preserved and open to tourists underneath the current structure. Although some parts are older, most of the palace we see today was constructed in the early part of the 20th century. Having been to many palaces, we did not take a tour. Christiansborg Palace is huge, this is the visitor’s entrance side. Christiansborg Plaza, near the Palace. Marble Church or Frederik’s Church. 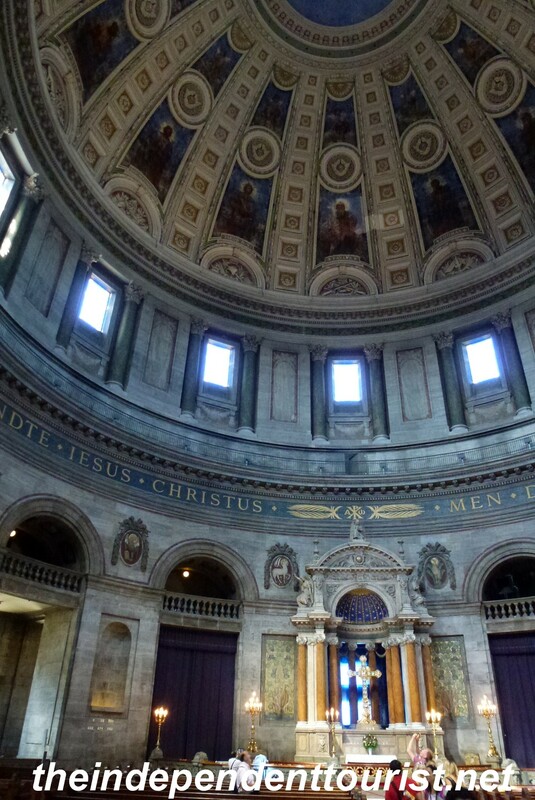 This impressive Lutheran church contains the largest dome in Scandinavia. It reminded us just a bit of St. Peter’s in Rome, but of course not nearly on the same scale. It has an interesting history. Construction started in the 1700’s but it sat as an unfinished shell for about 150 years, until the late 1800’s, due to a lack of funds to finish construction. The interior of the Marble Church. The Marble Church (large domed building) from Amalienborg Palace Courtyard. 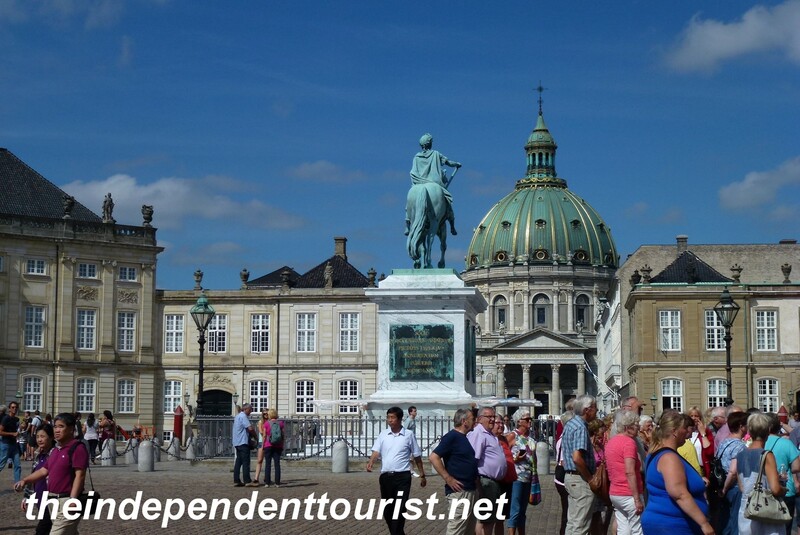 A panoramic view of Amalienborg Palace and Courtyard. Visitors can climb to the top of the dome for a great view of Copenhagen, but plan on doing this in the afternoon, it was not open yet when we visited in the late morning. 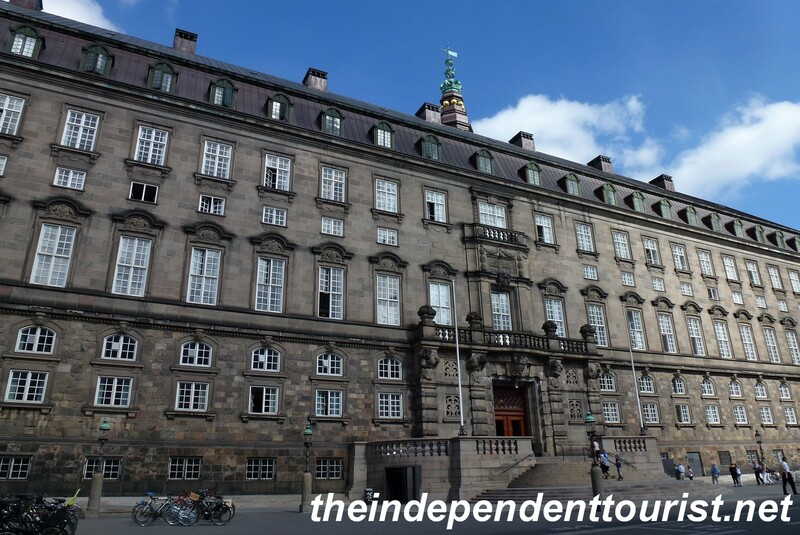 Amalienborg Palace, the winter home of the Danish royal family surrounds a huge courtyard leading up to the entrance of the church, making this an impressive sight. Posted in Denmark and tagged Christiansborg Palace, Marble Church, Nyhavn, Sights of Copenhagen on January 28, 2014 by Paul Terry.